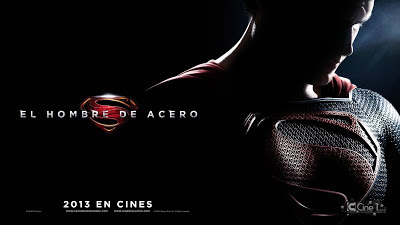 I have to say I was not expecting to write any review about Man Of Steel, much less in English !… after all, the movie was a big disappointment one after another. Yet and thinking of the general good I have to start writing about that fine mess called MOS. Movie’s first quarter is fine. A good setting…Krypton is dying, Jor-El and his wife prepares a ship for their son. They know the planet is condemned and they expect to sen newly born Kal to a new galaxy, where a young star will give him the adventages he and his race needs to survive – as they have hidden a genetic map of Krypton man. In the meantime General Zod wants that code and he and his commandos fights Jor-El to get that code. Zod Kills Jor El as the ship rises in the sky…..so far so good…if you want to consider a few things. a).- Explained later is that Kal-El is the first man naturally born in centuries…..How their parents hide that from the rest of the scientists and soldiers, and politicians……???? b).- The reason Jor El and Lara had their child in a natural way was to give him and nature the chance to be what he wanted to be instead a soldier or whatever the profession and destiny decided by the code…..if that is correct, how is possible that Jor El –being a he a scientist – was able to combat hand to hand against Soldiers beating the crap out of them ?…. Anyways…these couple of things can be skipped and you can still enjoy Zod imprisonment and Krypton destruction because we are moving in the best part of the movie…..
c).- Kal-El comes to Earth and we see him as a child…growing up tormented by the powers imposed to him by fate –or Gods , whatever you may choose. This is the best part of the movie for me because I see it as an analogy of The Last Temptation of Christ by Martin Scorsese. There you find Jesus carving wooden crosses for those that will be crucified as a way to try to vanish the voices he hear, the voices that are driving him crazy…the voices of fate telling him he has a destiny he will fulfill. If you saw it, you probably will understand what I mean. Is obvious that Superman myth is based someway in Christianity principles and they were vastly explored in Superman by the great screenplay of Mario Puzo’s. 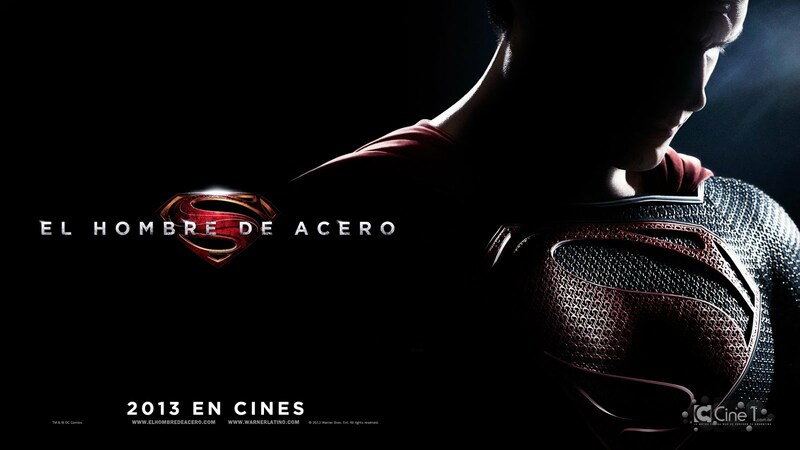 Kal El sent from above in a star to protect mankind, living with them, walking among them, performing miracles…. I quote from Mario Puzo’s script: “Live as one of them…they can be great people….they only lack the light to show the way…for that reason above all, their capacity for you I have sent them you….my only son” – John 3:16 anybody ???? But then the kid grows…..and the movie goes into a series of little inconsistencies…. As an adult, Kal El perform several miracles….he crucifies a big truck, he rescues workers in a Oil platform, he wrestles -for like an eternity - a gigantic sea creature…that after finding a space ship that will help him to understand his destiny…..
d) Ok, can anyone tell me why in the space ship the hologram speaks English ??? ?…I mean does Kryptonians speaks English as their first language ?…c’mon !!! !….At least producers could have hired a linguist to develop a dialect for this…. But oh…he discovers that Zod wants to use planet Earth to create a new Krypton !…then a large and useless sequences of fights are developed to fill the second part of the movie….very boring and really fake fights by the way….if they only had the humor that Avengers had…but no….the destruction is plain and really… really bore. They destroy the ship – Earth military use Superman’s ship to “cause a black hole” and send the Zod’s ship and mates trough that portal….. HOLD ON !!!! …..WTF !!!!!!! Do you know that “black hole is region of space-time from which gravity prevents ANYTHING, including light from escaping” ????? – if you don’t have time to read about quantum physics, use wikipedia….. Apparently the writer thought that common movie goers would not mind about a black hole in the middle of our planet and just jump to the final of the movie…. f).- Superman fights and beats Zod – poor guy, clearly he became a General because of politics and not because of being a good fighter . The decide to break Zod’s neck alla Schwarzennegger, and the he cries aloud….we are not sure if is because of killing one of their own, for the killing itsel, if is because when he twisted Zod’s head he also killed a couple trapped in the station….I actually think it was Henry Cavill really crying was for being trapped in this headless and boring story…. The movie ends with a city to be rebuild and Jor –El (as Clark Kent) joining the planet as a reporter and being introduced to miss Lane who smiles in complicity – a good move I have to say…but that can not save the movie as Superman did with the world.